Jesmond Dene is an oasis of green on a hot summer’s day. 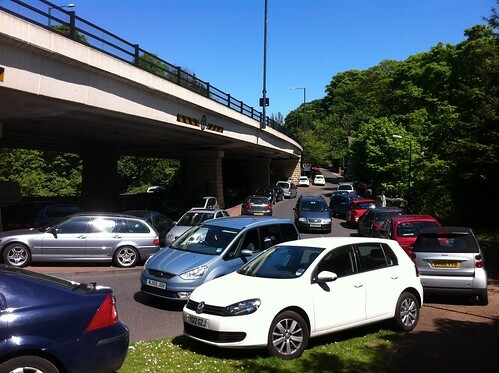 But, from 11am on, the roads running into the Dene are clogged with cars, many of them illegally and inconsiderately parked. 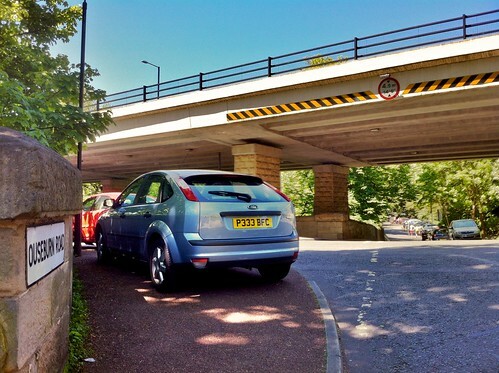 Benton Bank and Red Walk become danger areas for pedestrians. 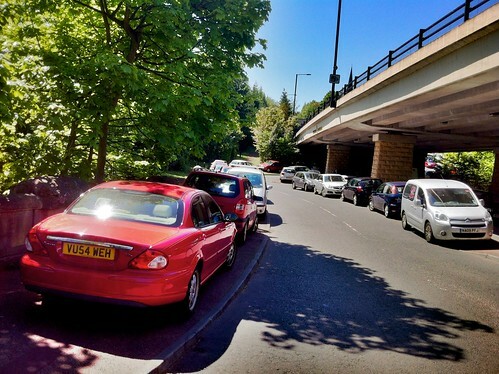 At a time when Newcastle City Council is strapped for cash perhaps a warm weekend could become a fine weekend, with motorists who dump their private cars in the public Dene slapped with £70 penalty charges? If the council sent in the Civil Enforcement Officers (parking wardens to you and me) it could make a small fortune. Check out the photos above and below, taken this past Saturday and Sunday. The official parking bays quickly filled up but that didn’t deter some motorists from parking on pavements, on verges, on junctions, basically anywhere they could fit their cars. There were reports of fisticuffs as some motorists over-heated in the chase for parking spots, official or otherwise. 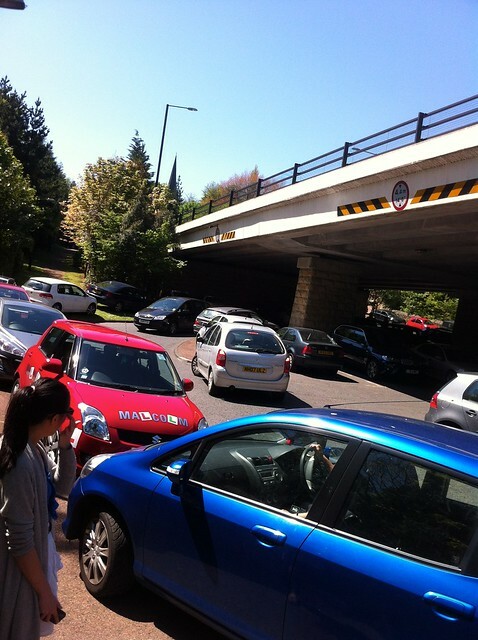 And there were long delays for those trying to use Benton Bank as a through route as motorists queued on the hill, waiting for others to exit. 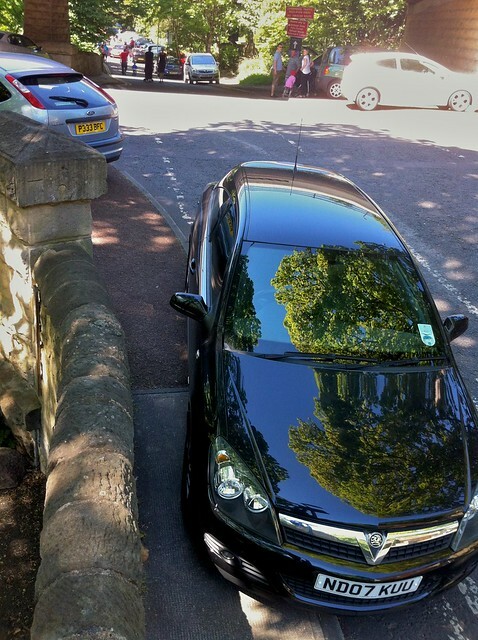 Newcastle City Council’s parking policy is clear: motorists who park on verges or on the pavement (i.e. footways) can be issued with immediate £70 Penalty Charge Notices. 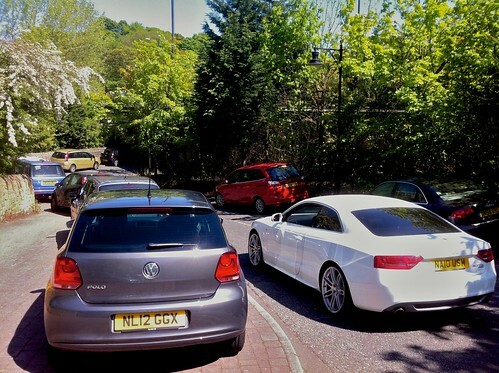 Some of the parking down in the Dene could also be considered obstruction of the highway (in law the highway is the whole width of the road and pavement, not just the road) and therefore both a nuisance and dangerous. This ought to then become a matter for Northumbria Police. “Careless parking represents a serious hazard to pedestrians, especially those using wheelchairs for mobility purposes or those suffering from a visual impairment. 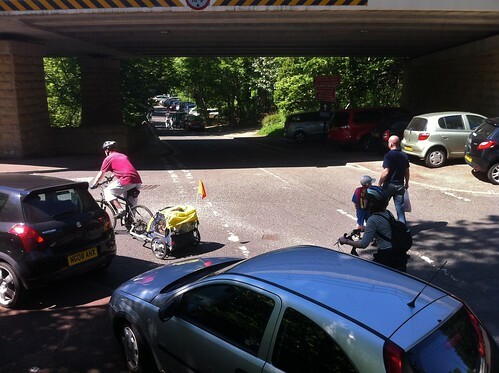 It is also an inconvenience for people with pushchairs and buggies who cannot squeeze through small gaps, as well as being an offence under the Road Traffic Act 1988 to park vehicles on verges or footpaths without good cause. “We would ask you to think about how your actions could impact on others before you park. “Do not drive or park on the pavement. Children are taught that the pavement is a safe place to be. Blocking the pavement, even if only half-on, makes it difficult for pedestrians and especially hazardous for disabled and elderly people, those who are visually impaired and people with pushchairs and double buggies. “It can force them off the pavement and into the road – creating a possibly dangerous situation. Rule 218 of the Highway Code says: “Do not park partially or wholly on the pavement unless signs permit it”. It would be perhaps impractical to charge parking fees in the Dene – it is, after all a park for all citizens of Newcastle to freely enjoy, year round – but when Lord Armstrong gifted his garden to Newcastle in 1883 it was for the people of Newcastle not their private carriages. If you’re local, please leave your car at home and walk, cycle, roller-blade, pogo-stick to the Dene.